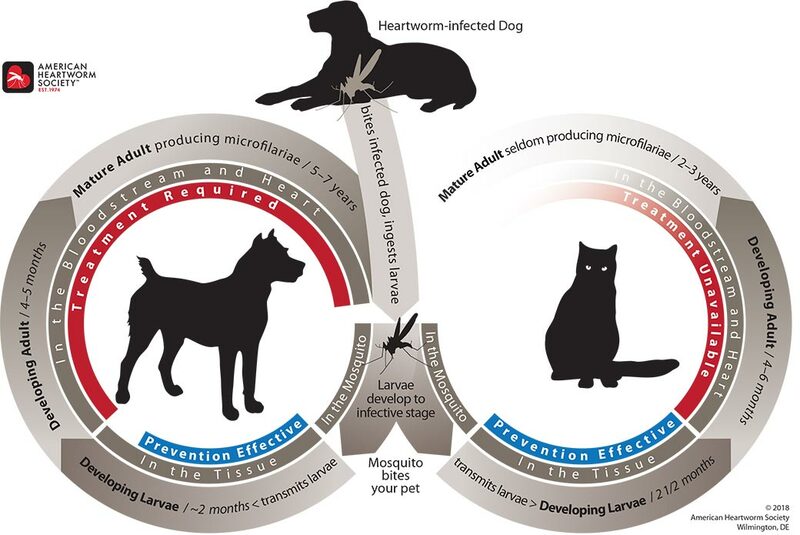 The American Heartworm Society has updated the heartworm life cycle for use in the veterinary clinic and for pet owners. Both versions are available in either color or black and white. Click on the life cycle you would prefer to download and print.